Thank you to all who attended MANA2014: The Spirit of Midwifery in St. Louis. We had a fantastic event and it's due to our dedicated local team, programming committee, planning team, presenters, sponsors, exhibitors, hotel staff; and of course, everyone who attended MANA this year. We appreciate you! Many presenters at MANA2014 gave permission for their talks to be recorded. You may purchase them individually or as a package here. 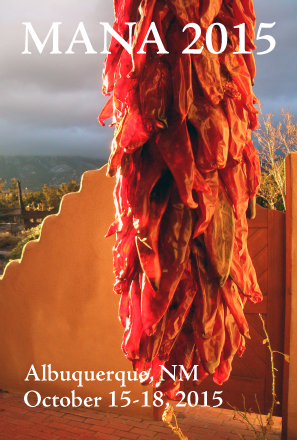 We look forward to seeing you all in Albuquerque, New Mexico next year, for MANA2015. Save the dates: October 15-18.